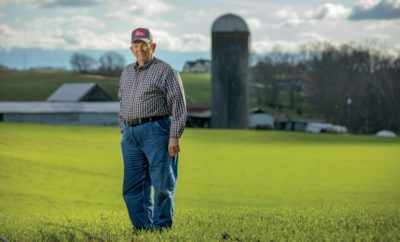 When Charles Meade went out to buy some rocks for his new home greenhouse back in 2012, he came back with an entire commercial nursery instead. Or, more precisely, he’d made an offer to buy one. 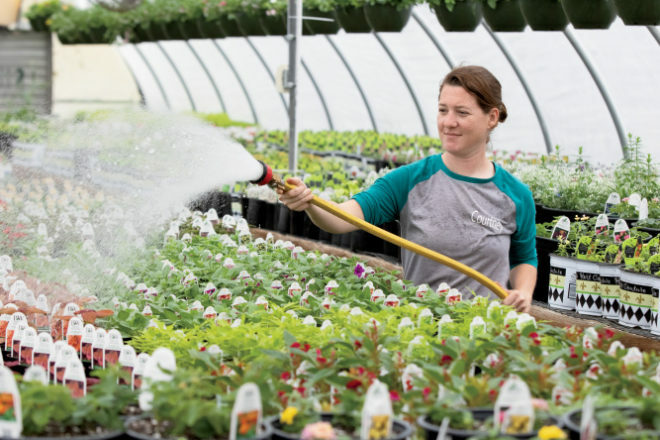 The owners of that nursery, a long-established, family-run operation in Union City, were retiring and had decided to sell the entire property. Charles, a software developer, happened to stop in looking for closeout deals to supply his empty greenhouse. An avid geranium grower, he’d thought about getting into the nursery business some time in the future, maybe five years or so down the line. 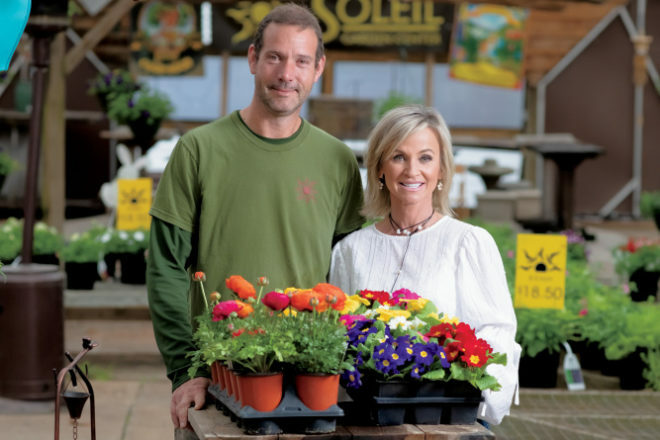 But the opportunity presented itself at that crucial moment, and Soleil Garden Center was born. “We all kind of dropped everything we were doing and jumped in to help get things going,” says Micah Barnes, Meade’s brother-in-law, who handles communications for the center. Together, Charles, his wife Crystal, Micah and other family members spent months renovating the old facilities and transformed the nursery into the collection of small businesses that now comprise Soleil. They held their grand reopening of the nursery in its new incarnation a full year after buying the property. 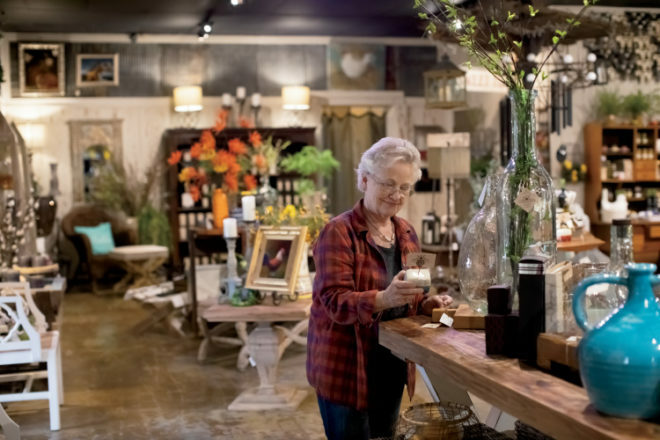 While gardening and landscaping are still the main focus, they’ve added a home décor and gifts showroom and a recording studio. (Yes, you read that right, a recording studio at a nursery.) Soleil has event space as well, and hosts performances and parties of all kinds. Charles manages the greenhouse business, Crystal the showroom and Micah the recording studio. “It was already established as a nursery, and it is evolving over time to be more. Charles’ vision was to create something that wasn’t just about financial gain, but that would add value and offer something unique to the community,” Micah says. 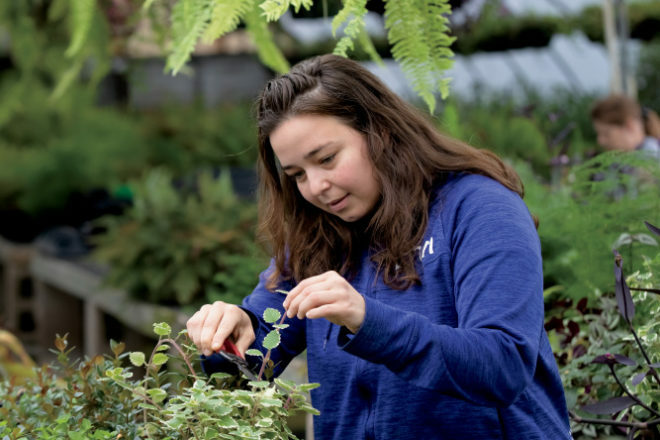 “It’s not your granddad’s nursery – we’re a little bit different.” Soleil is finding that the multi-business model serves them, and the community, well. Gardening patrons will find a fine selection of seeds, plants, trees, bushes and supplies, along with decorative items like yard sculptures and wind chimes. The business prides itself on stocking a healthy selection of mature plants from independent growers. 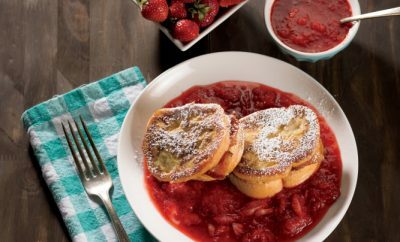 Geraniums are a Soleil specialty, of course. Charles got his passion for them from a grandfather who grew them, so he’s carrying on a family tradition. 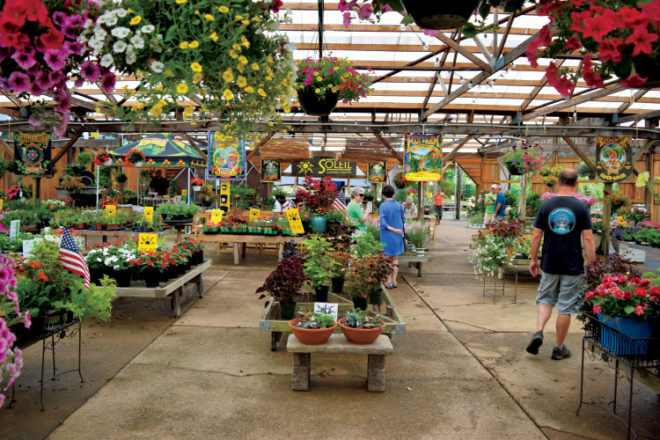 The garden center also provides personalized potting services, for which the staff creates custom plant mixes based on customer preferences. Native plants are available, and Soleil will fill special orders. Soleil offers full-service landscaping too. From concept through design and planting, their teams will do everything from potting plants to building pergolas, installing irrigation systems and planting trees. Outdoor beauty isn’t Soleil’s only interest. The indoor showroom is packed with items to make inside spaces cozy, pretty and fragrant. Upscale brands of candles and soaps perfume the cheerful shop. Decorative clocks, mirrors and wrought-iron filigree pieces cover the walls. Visitors will find items for seasonal decorating and many delightful surprises – artisan jewelry, fancy teas, whimsical sculptures, paintings and handmade furniture. It’s a great place to find gifts or a little something pretty for oneself or the house. Crystal, a former librarian, has an eye for the right touch, though she credits the real talent to her mother. The showroom is open year round and helps provide revenue through the winter months when the gardening departments are slower. Local artisans make many of the items, and Micah makes some of the furniture from upcycled vintage wood. Micah, in fact, is a bit of a Renaissance man – a designer, artisan, photographer, videographer, musician and music producer. Knowing his brother-in-law’s many talents, Charles invited Micah to create a recording studio at Soleil and put him to work managing that, along with design projects and events. Micah named the studio Bronze, after the nightclub featured in the Buffy the Vampire Slayer TV series. 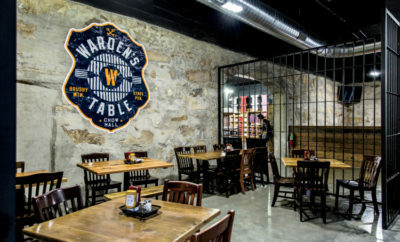 He works with both established and emerging artists – most of his clients are bluegrass and rock bands – and also teaches music and media at the nearby University of Tennessee at Martin. Events are a big part of life at Soleil. The center hosts musical performances, receptions and private parties. It’s not unusual to find wedding parties or teen prom-goers wandering in their finery among the perennials. One highlight of the year is the party Soleil throws for itself every May 4th to honor the nursery’s grand reopening bash back in 2013. Given all the doings at Soleil, one might wonder whatever happened to Charles’s original greenhouse after he dove into the nursery business. “Haven’t used that greenhouse since,” he says with a grin. Hours: Seasonal, so please call ahead before traveling long distances.